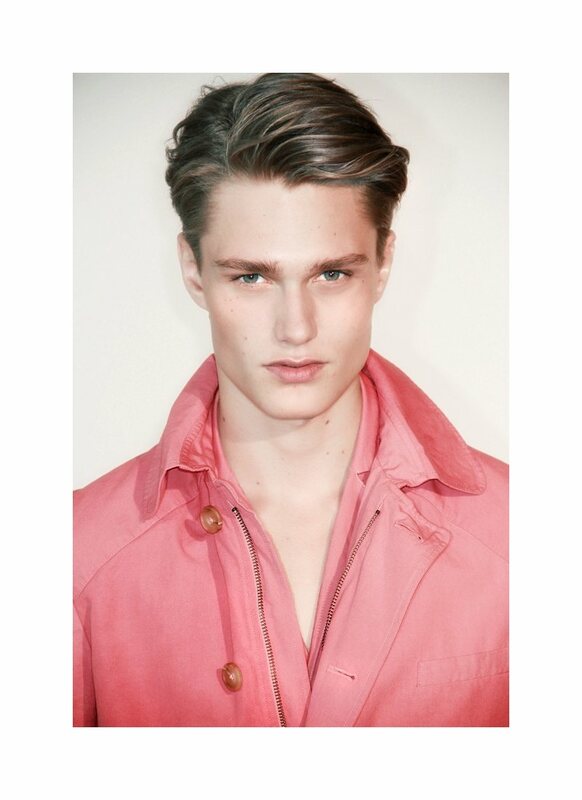 The new face Gabriele G (I Love Models) is photographed by Matteo Felici and styled by Umberto Sannino. 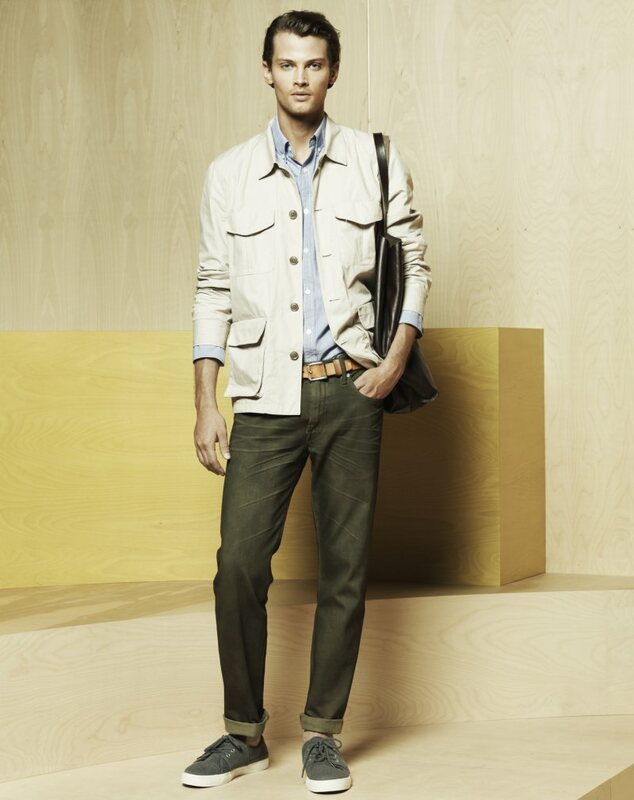 Gen Huismans dons the latest Tru Trussardi's fall 2011 collection. 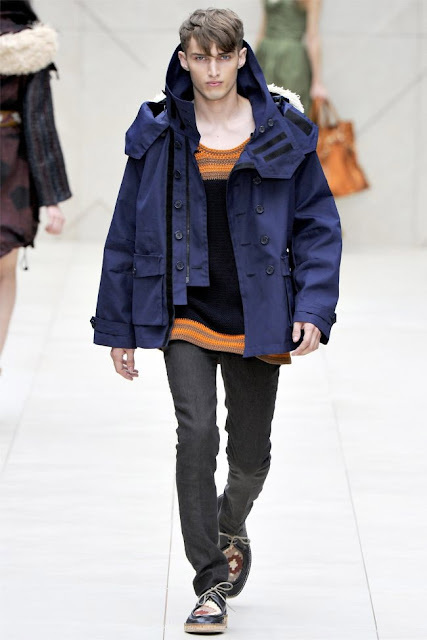 Burberry Prorsum takes London Fashion Week by storm with their spring 2012 collection. 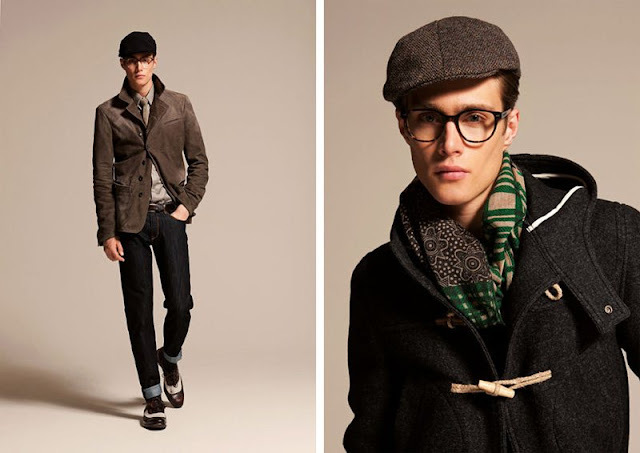 Completed with prints and colors, the Burberry man finds his personality with every step, from vintage cut tops and oversize parkas to the hand crafted natural wood toggles as well as other fine accents. 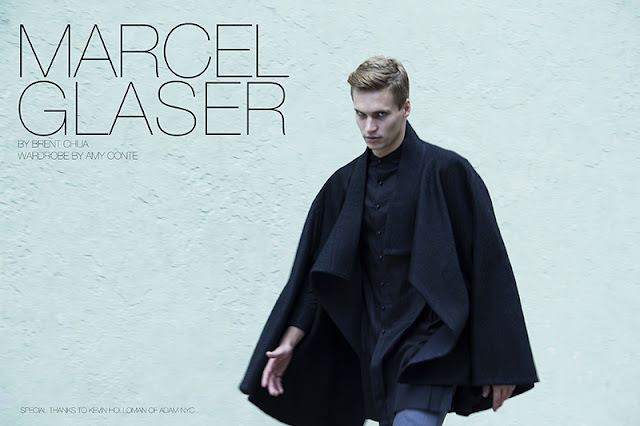 New York based photographer Brent Chua is sharing to us new photoshoots of handsome German model Marcel Glaser (ADAM/Modelwerk). Marcel's wardrobe is provided by Amy Conte. Hudson Taylor is photographed on the beach by Harold Julian and styled by Geremy Campos. He's wearing garments from Club Monaco and Jil Sander. 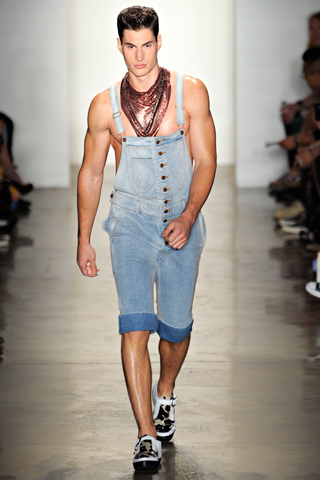 Jeremy Scott never renounce at prints and patterns, he's resenting a collection full of vintage and western inspiration: from pair of denim shorts to a denim vest came with a fun pair of denim Dungarees. Fringe, leather, cactus and cow patterns, seemed to be enough to get Scott’s point across, and once again Jeremy Scott showed why youthful and fun collections are filled with creativity and style. British model Vince Azzopardi is photographed by Dylan Rosser in some full frontal portfolio and also covers the 2nd issue of online TMF Magazine. 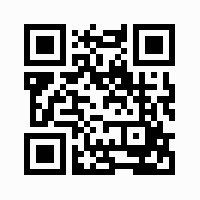 If you want to buy the magazine just click here. 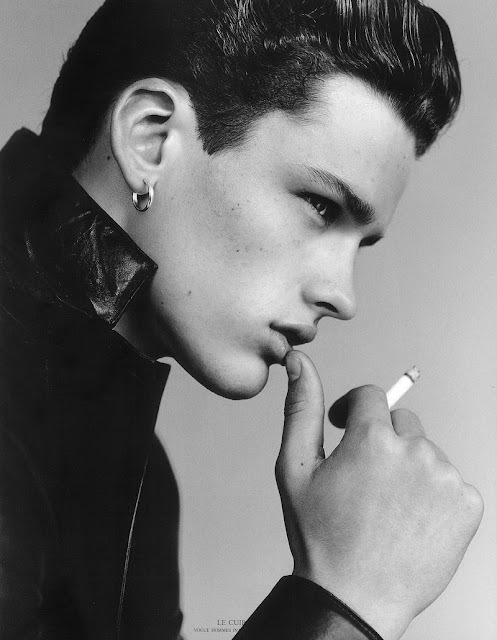 A new editorial entitled:'Neutral Country' with the top model Simon Nessman, captured by John Balsom for the October 2011 issue of Details magazine and styled by Paul Stura. 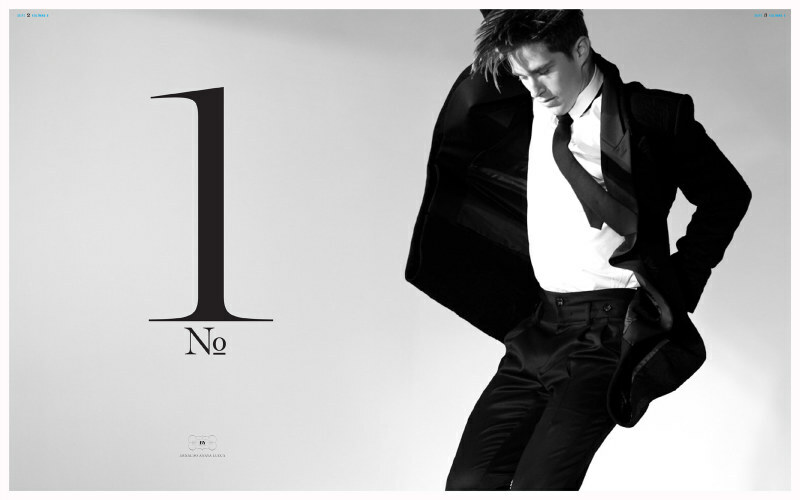 The Canadian model Casey Taylor (Kult) is captured by Cédric Buchet and styled by Beat Bolliger for Louis Vuitton's fall 2011 campaign. Rich Stinger (Soul) by Josh McNey. 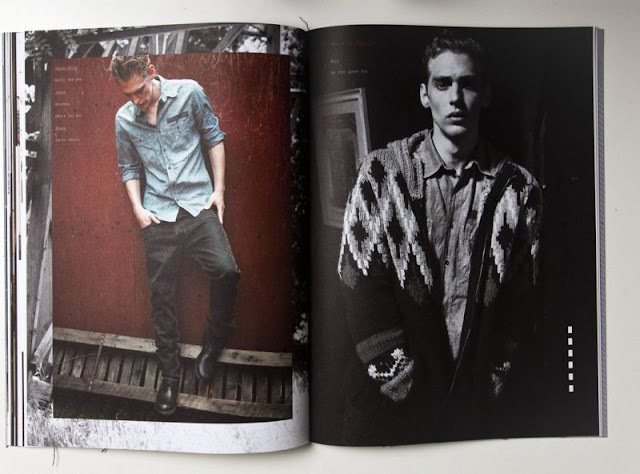 For the latest H&M month's arrivals, Will Chalker is photographed while is wearing classic jacket, flannel and other relaxing peaces for the fall season..
Jeremy Dufour (d’men) and Mark Cox (WhyNot) are photographed by Matteo Montanari (Motif Management) for Replay’s fall 2011 season. 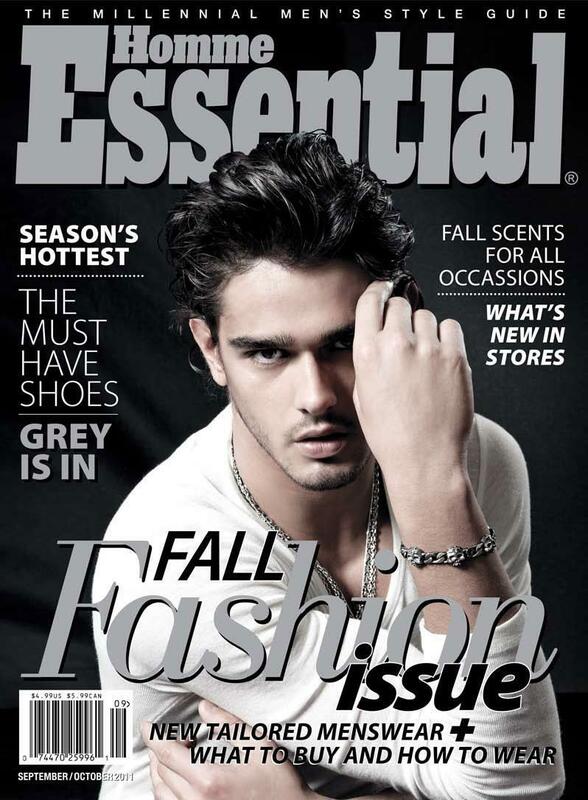 / Outfitted by Elisabetta Dal Bello. 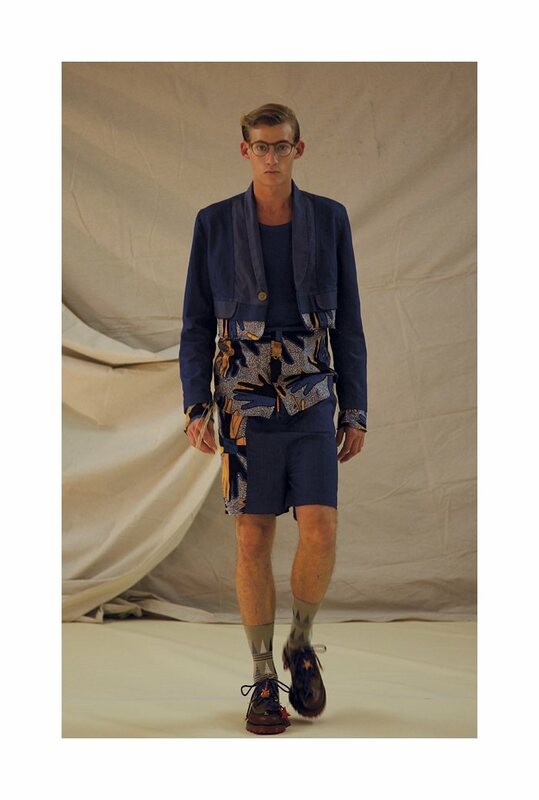 Earthy pigments, cropped trousers, waistcoats and other coordinating pieces came together for the latest spring 2012 show of Petrou\Man, designed by Nicolas Petrou and styled by Julie Ragolia. 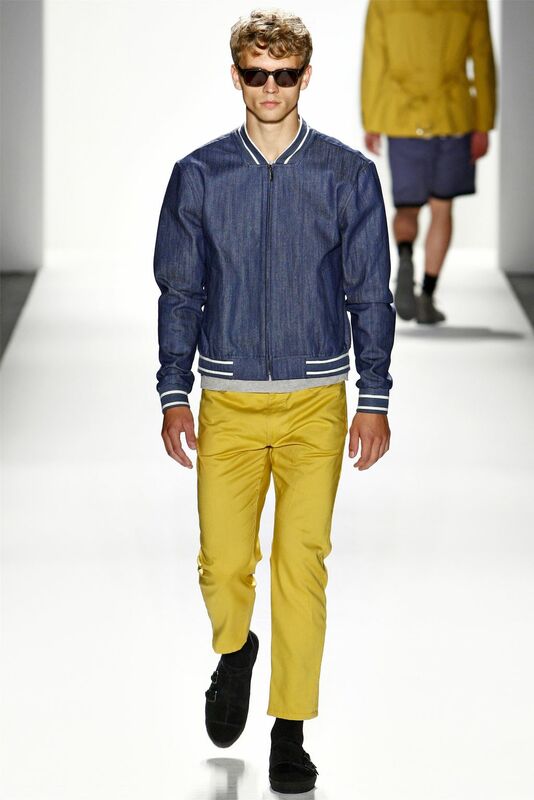 Gap pushed forward with a collection, lined with a wide spectrum of color, sneakers, cuffed shorts and light-weight nylon jackets, easy tees, clean shirting options and field jackets. 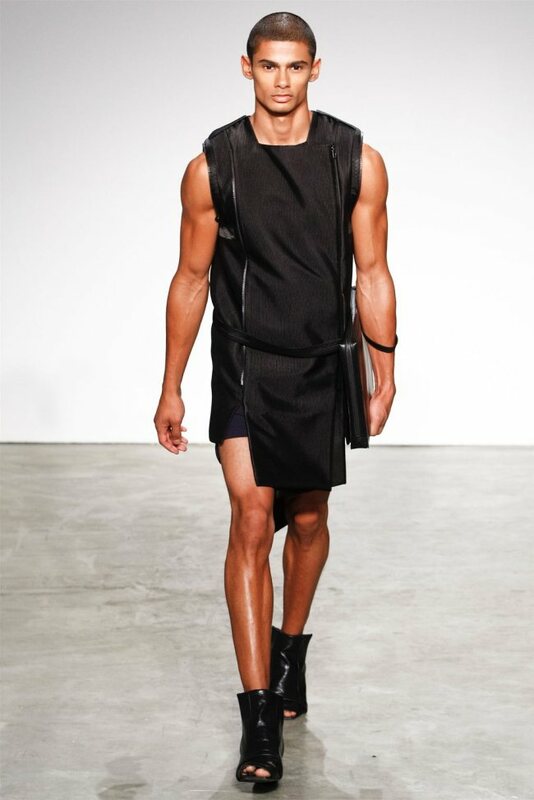 Yigal Azrouël’s idea of spring came to fruition with a multi-faceted man of style. 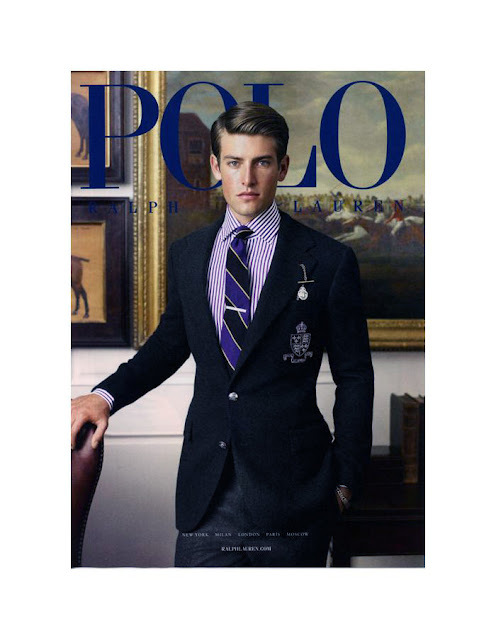 Taking easy ready to wear pieces like the sweatshirt, leather jackets, athletic-geared trousers and business-prone jackets, relaxed tailoring and color blocking. 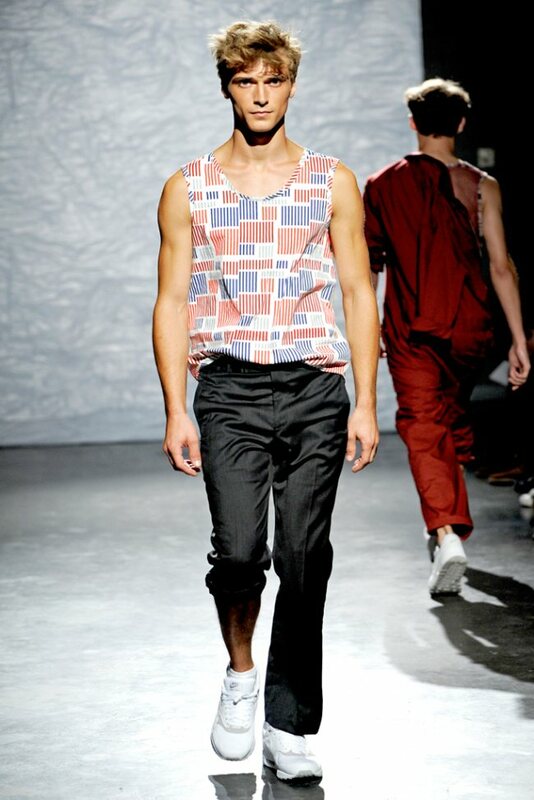 'The King of the New York Fashion' Michael Kors presents us male models with gradient dressed trousers,wraps, tie-dye printed pieces, thick belts, bags, field shirts, open-weave knits and cargo pants. 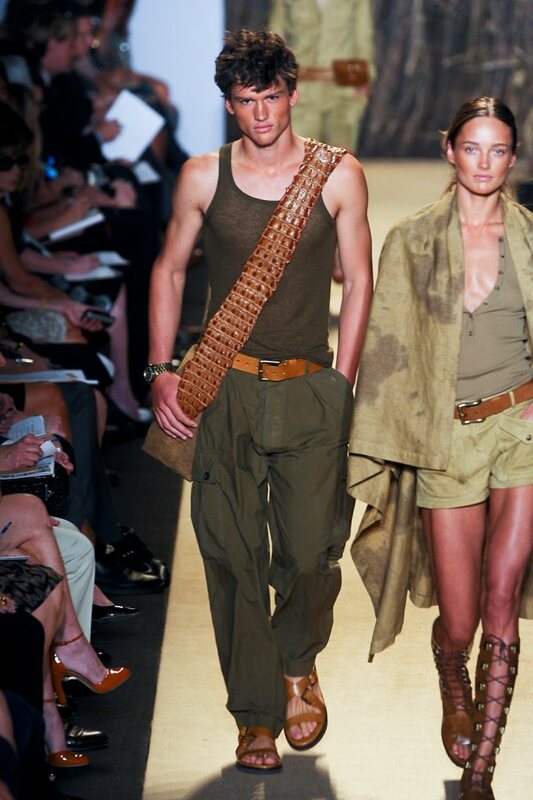 Kors created an urban safari for this 2012 show. 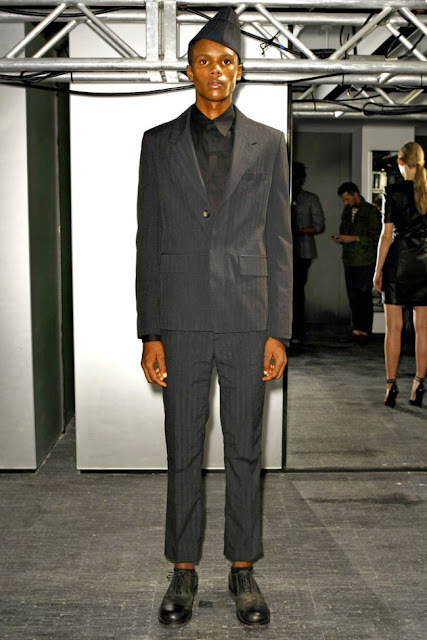 The last spring collection of Rad by Rad Hourani @ New York fashion week. Model Adam Senn is lensed by NY-based photographer Chiun-Kai Shih in a new editorial for GQ Taiwan. 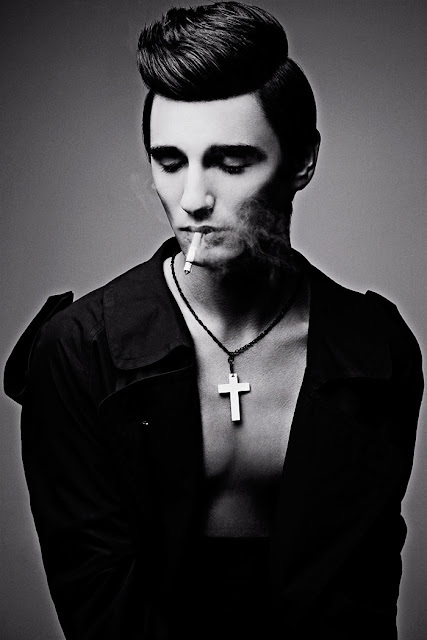 Mariano Vivanco captures the model Dimitriy Tanner (Vision/Soul) for a new portofolio. 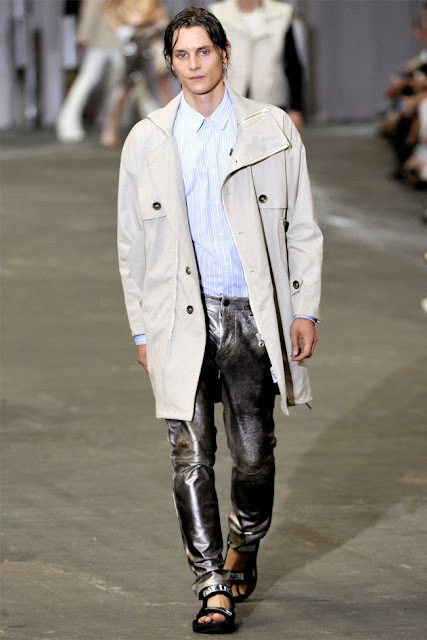 Diesel Black Gold presents us an interesting vision to life with a sharp number of ensembled: treated leatherm cropped jackets, halved sleeves and metallic pants. 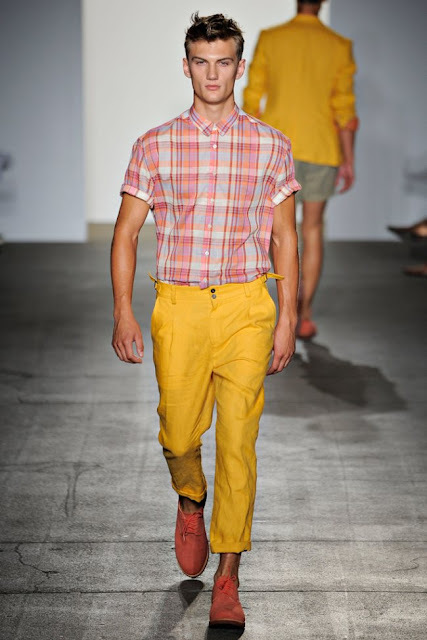 The designer Frank Muytjens was inspirated from the paintings of Fairfield Porter and Rauschenberg for the latest J.Crew's spring 2012 collection. 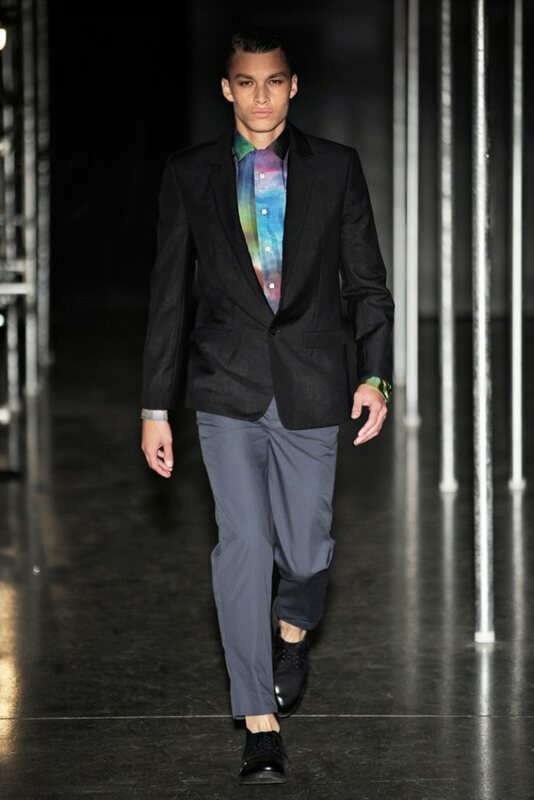 At the presentation we can see militaristic pieces, two-button suit, youthful cuts and a new-age timelessness. 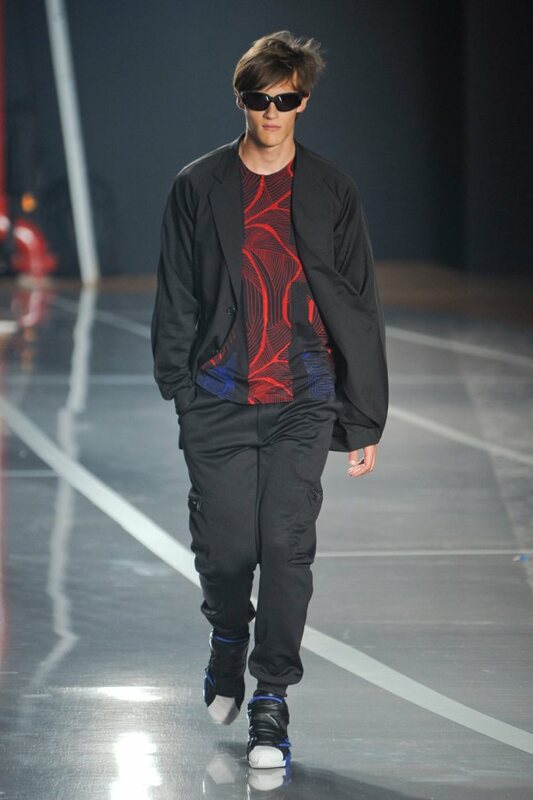 The great relaxed oufits with a neutral color palette is transformed into a vibrant presentation of character and print for a smart refined outing which represent the new spring 2012 collection of Zero + Maria Cornejo. Board shorts, cadet jackets, blazers and tank tops rounded out the majority of the last spring collection of NUMBER:Lab. 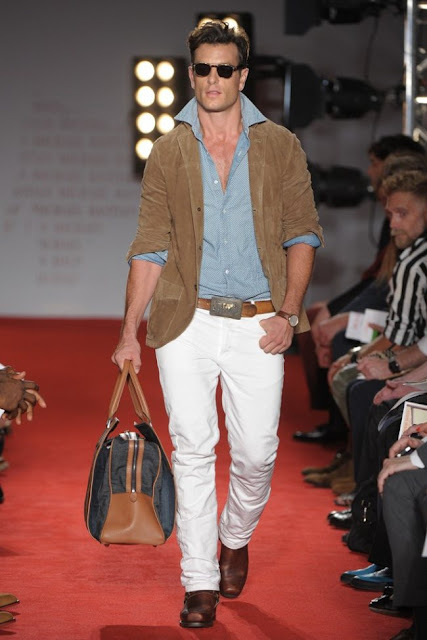 Michael Bastian spring 2012 collection at NY fashion week. Perry Ellis's collection is amazing, on the runway we can see a lot of top models like Francisco Lachowski, Mark Cox, Sean O'Pry, Sebastian Sauve and others are wearing relaxed outfits with a soft color palette, from jackets and trousers to light-weight knits transforms the models in a contemporany men. 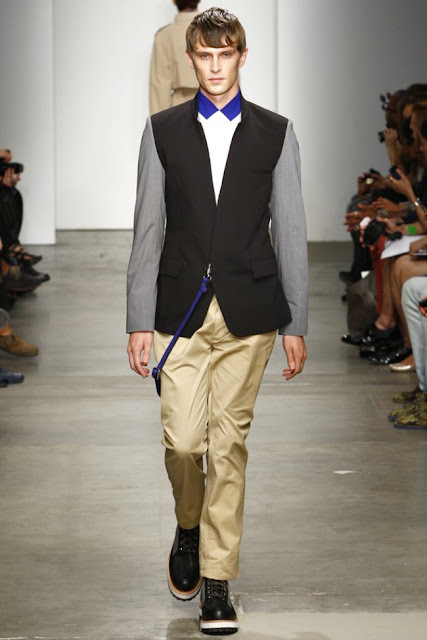 Semi-fitted silhouettes plays with brightly colored suiting, easy shorts, shirting options mesh with gym time and classic gray sweatshirt are expressing the new collection of Marc by Marc Jacobs spring 2012. 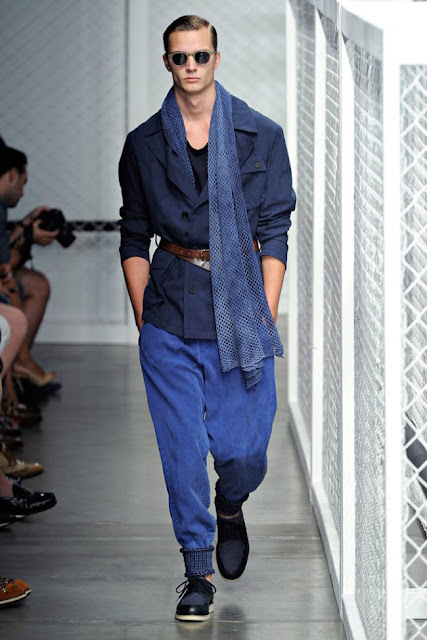 The spring 2012 collection of Alexandre Plokhov is inspired from military clothes. Timo Weiland's show is represented by a joyful appetite with a relaxed sophistication through easy jackets and loose shorts for a happy spring character. 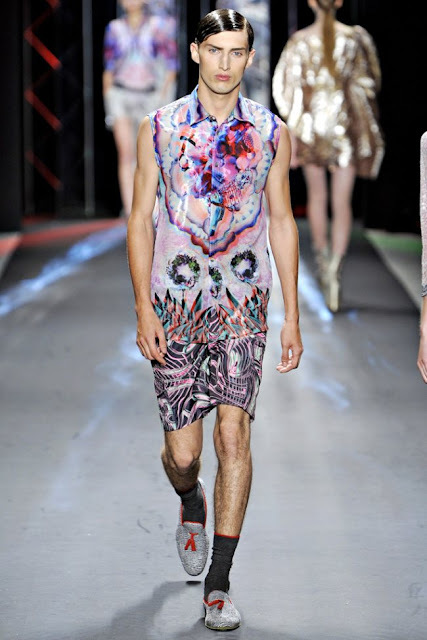 On the catwalk for Custo Barcelona's spring 2012 collection the looks are full of tanks, shirting and jackets, digital prints, acid washes, shimmering fabrications and shees assets marked an eclectic range for an relaxed spring/summer layering with modern fits. 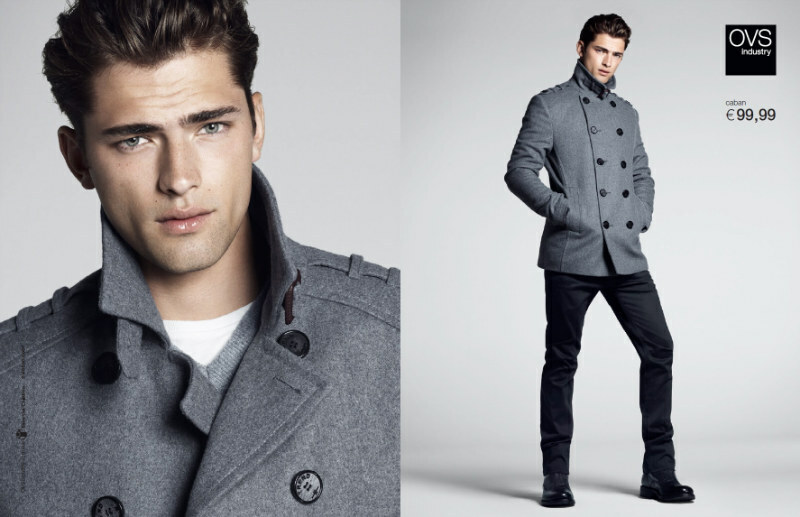 For the last fall 2011 campaign of Massimo Dutti Sport, the talented photographers Hunter & Gatti captures and film the duo models Mathias Lauridsen (Sight) and Simon Nessman (Soul) in a fall athmosphere with quilted outerwear, flannel and chunky knits. 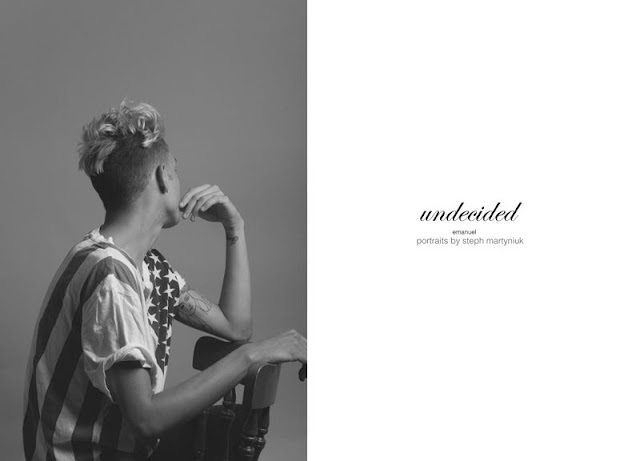 Steph Martyniuk captures the Romanian model Emanuel Anghelescu ( Elmer Olsen Management ) in a new photo session named 'undecided'.Emanuel wears Americana wardrobe. The spring collection of Patrik Ervell taking his inspiration from New York City. On the runway we can see relaxed shirting, trousers, treasured suit with a neutral array of sharp jackets and outwear. 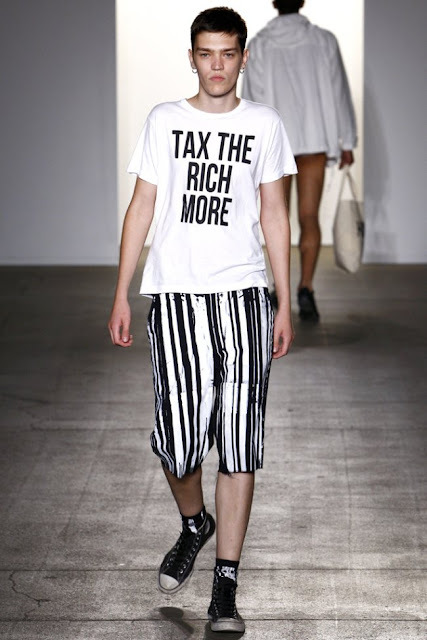 The spring 2012 collection of Y-3 at New York fashion week. Simon Spurr's spring collection expresses the man with a great look.From bold graphic tees to tailored wears, from normal boots to leather tall boots - an energic lineup come together with a refreshing quality, times and contemporany for a modern spring outing. 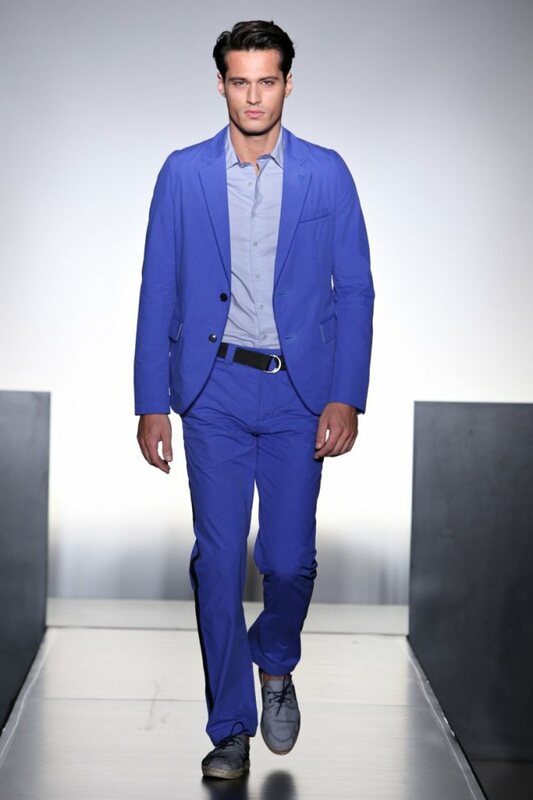 Nautica presents in his latest spring collection at NY fashion week great looks with polos, board shorts, sharp tailored blazers, jackets, carryalls, cowl necked sweaters and some heavier coats. 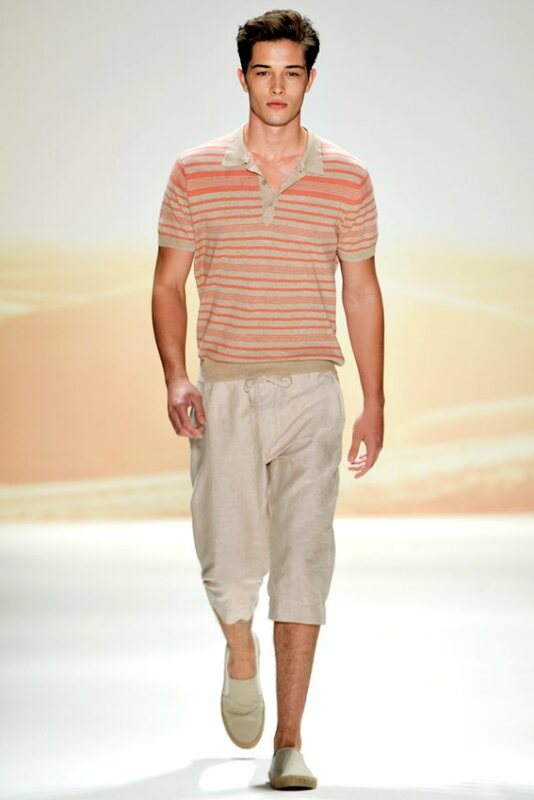 The spring 2012 collection of Parke & Ronen was made it for the beach boys, with trousers and relaxed shirting, speedos and square leg suits, all in a warm colors. Top model Marlon Teixeira covers the latest issue of Essential Homme September/October 2011. 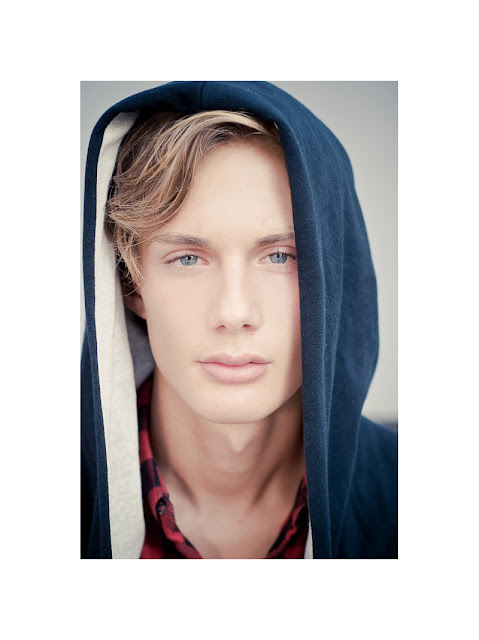 The photograher Krysztof Waszak shoots the new face Maciek Zielinski. Loden Dager delivered a perfect collection for fun under the sun, bringing together relaxed layers, charming prints for a wardrobe. 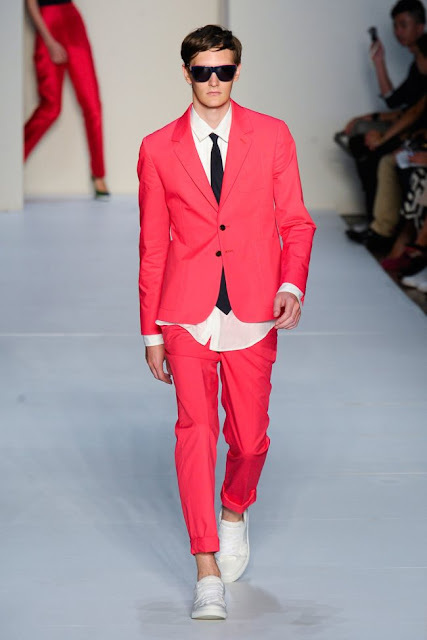 These looks are full of amazing bright colors like lime green or pumpkin orange, patriotic blue and red, from denim jacket to polka dot covered suiting shorts or graphic tees.